John Buley is Professor of the Practice of Finance at Duke University, Fuqua School of Business. He teaches Corporate Restructuring, Project Finance, and the Advanced Seminar in Social Entrepreneurship. John is Advisory Committee Chair of Duke’s Center of Social Entrepreneurship, Impact Investing Initiative. 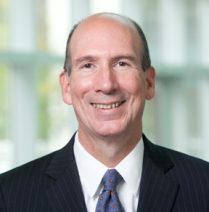 Prior to joining the Duke Faculty in 2012, John was a Managing Director of J.P. Morgan and predecessors in a variety of roles, including Head of Mezzanine Capital, Head of Middle Market Capital Markets, Head of Product Integration, and Head of Loan Syndications. From 2009 to 2012, John was a Managing Director in J.P. Morgan’s Social Finance Group, investing the firm’s capital in impact investments, which made J.P. Morgan the first major financial institution to create a team dedicated to the field of Impact Investing. John is on the Board of MFX Solutions, a microfinance currency hedging firm and Senior Advisor to Lincoln International, a leading global middle market investment bank.